About Us New to CSU? 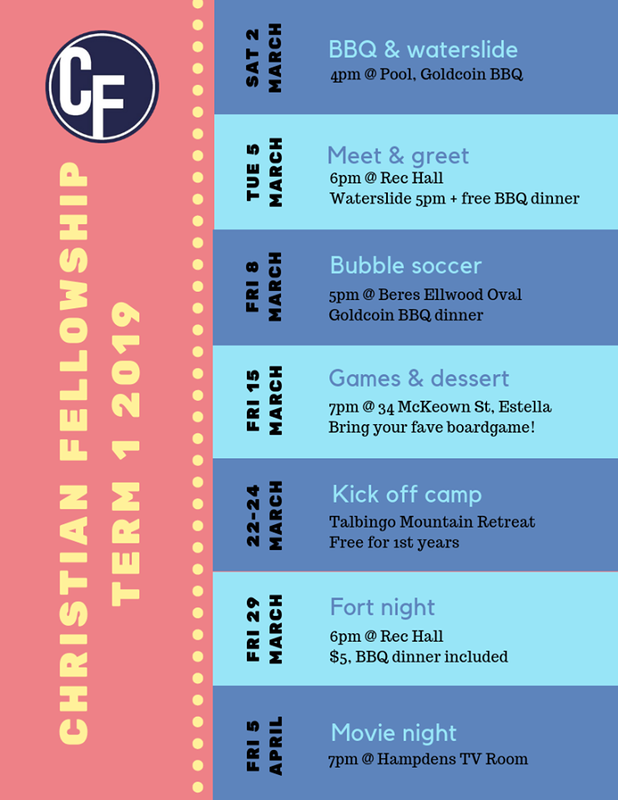 Christian Fellowship is a community of students at Charles Sturt University Wagga Wagga. We are students from all sorts of backgrounds who share a common love of Jesus Christ and the good news he brings in the Bible. ‘Like’ us on Facebook to get all our latest info straight into your news feed!